If you look at a SharePoint application you'll find that most of its active components are Web Parts. SharePoint 2010 includes dozens of prebuilt Web Parts that you can use. It also provides an API that lets you build custom Web Parts using C# or VB.NET. 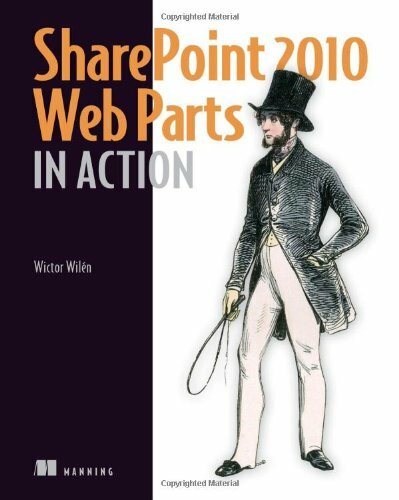 SharePoint 2010 Web Parts in Actionis a comprehensive guide to deploying, customizing, and creating Web Parts. Countless examples walk you through everything from design, to development, deployment, troubleshooting, and upgrading. Because Web Parts are ASP.NET controls, you'll learn to use Visual Studio 2010 to extend existing Web Parts and to build custom components from scratch. This book is written for application developers working with SharePoint 2010. Knowing Visual Studio 2010 is helpful but not required.